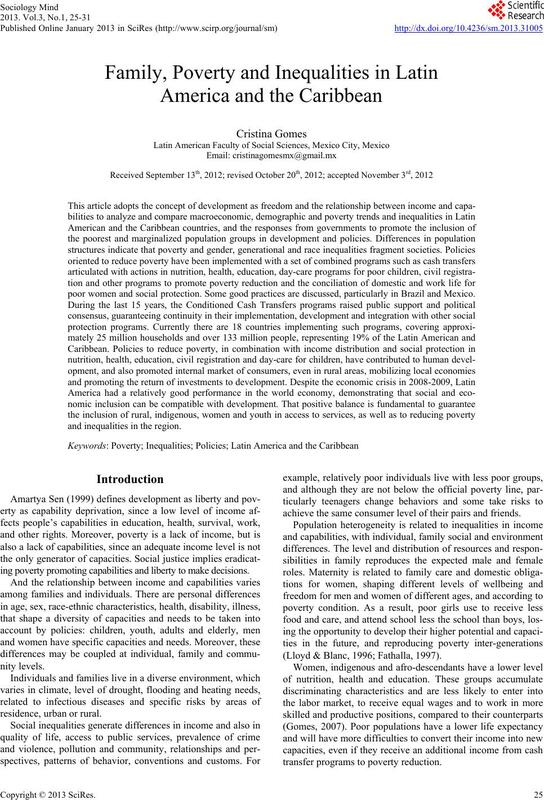 poor women and social protection. Some good practices are discussed, particularly in Brazil and Mexico. and inequalities in the region. ing poverty promoting capabilities and liberty to make decisions. achieve the same consumer level of their pairs and friends. (Lloyd & Blanc, 1996; Fathalla, 1997). transfer programs to poverty reduction. 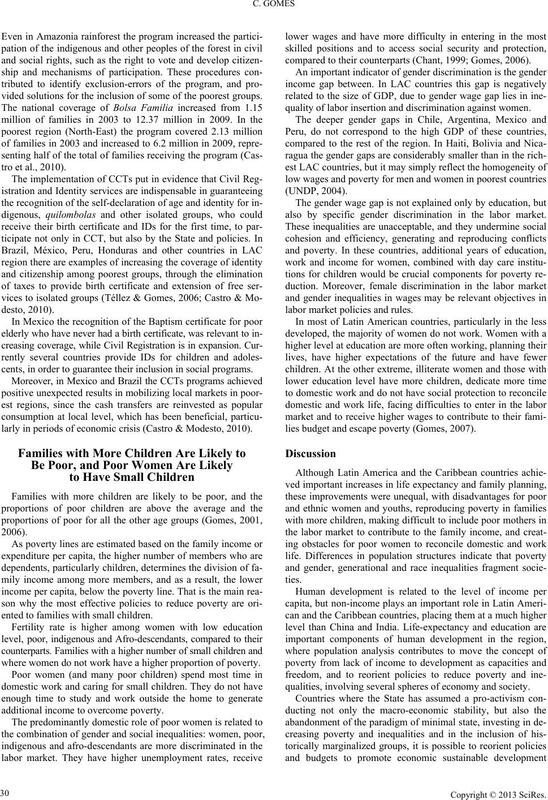 increase family income (Sen, 1999). nents from diverse spheres involved in poverty reproduction. health, measured as survival, adapting Amartya Sen’s approach. started a large period of crisis that continued during the 1990s. cessary investments in schooling and employment generation. were insufficient for the growing young and adult population. pyramids for different social groups (Figures 1 and 2). ita and very high national poverty line (Figure 3). 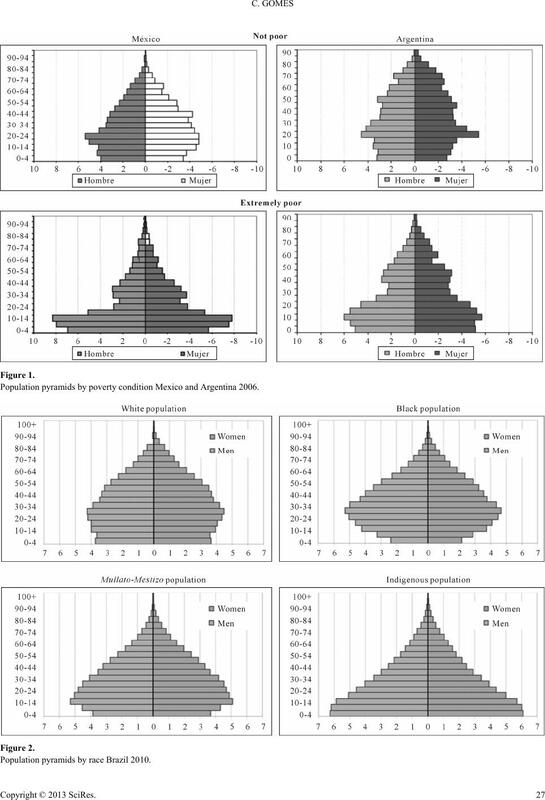 Population pyramids by poverty condition Mexico and Argentina 2006.
region to face adequately the crisis of 2008.
and the potential to reinvest income for human development. combines income, years of education and life expectancy. the mean years of education and the life expectancy. 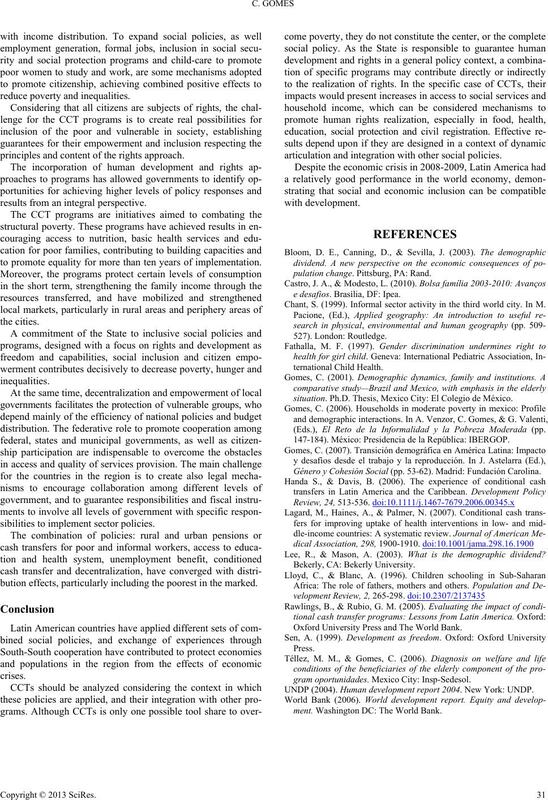 Latin America, BRICs countries and Ita ly. Source: UNDP 2011.
major disadvantage, compared to more developed countries. zil, Colombia, Dominican Republic and others. only Haiti has a lower HDI and non-income HDI than India. orient integrated policies and inter-sector actions. development in the long term. vious programs centered in food or stamps. resolve through inter-sector ne gotiations and agreements. have to pay elect r icity bills and gas (Téllez & Gomes, 2006). because they do not have a birth registration or an official ID. mobile means to facilitate access to isolated population groups. have lived isolated for decades, and some remain isolated until today. vided solutions for the inclusion of some of the poorest groups. cents, in order to guarantee their inclusion in social programs. larly in periods of economic crisis (Castro & Modesto, 2010). ented to families with small children. where women do not work have a higher proportion of poverty. additional income to overcome poverty. compared to their counterparts (Chant, 1999; Gomes, 2006). quality of labor insertion and discrimination against women. also by specific gender discrimination in the labor market. labor market policies and rules. 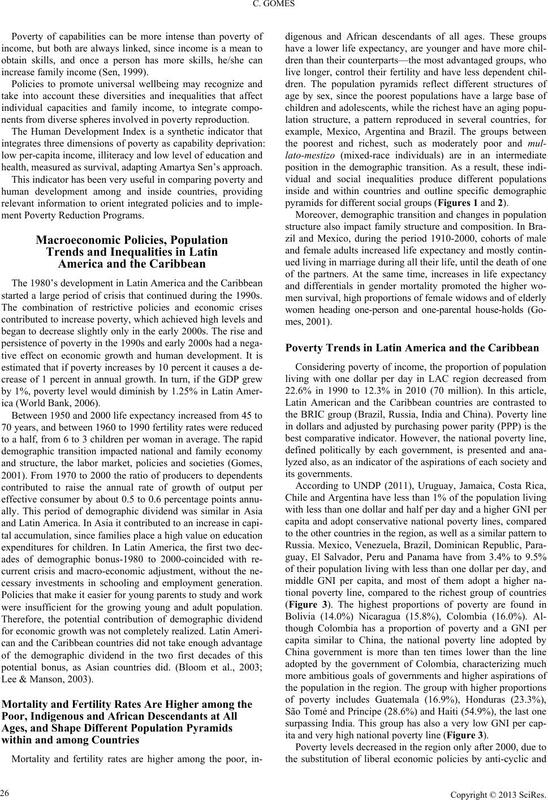 lies budget an d escape poverty (Gomes, 2007). qualities, involving several spheres of economy and society. principles and content of the rights approach. results from an integral perspective. to promote equality for more than ten years of implementation. sibilities to implement sector policies. bution effects, particularly including the poorest in the marked. articulation and integratio n with other social policies. pulation change. Pittsburg, PA: Rand. e desafios. Brasília, DF: Ipea. Chant, S. (1999). Informal sector activity in the third world city. In M.
situation. Ph.D. Thesis, Mexico City: El Colegio de México. (Eds. ), El Reto de la Informalidad y la Pobreza Moderada (pp. 147-184). Méxic o: Presidencia de la República: IBERGOP. Género y Cohesión Social (pp. 53-62). Madrid: Fundación Carolina. Lee, R., & Mason, A. (2003). What is the demographic dividend? Oxford University Press and The World B ank . gram oportunidades. Mexico City: Insp-Sedesol. UNDP (2004). H uman development report 2004. New York: UNDP. ment. Washington DC: The World Bank.